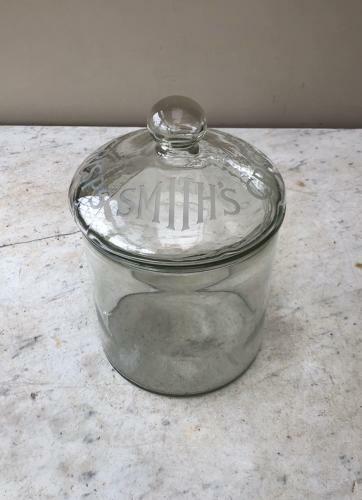 Lovely condition Early 20th Century Glass Shops Counter Top Advertising Jar for SMITHS CRISPS. "SMITHS & CRISPS" Etched around the lid. To the base of the jar at the back THIS JAR IS THE PROPERTY OF SMITHS POTATO CRISPS (1929) LTD.
Can be wrapped well and posted Parcel Force 48 for £12.98.